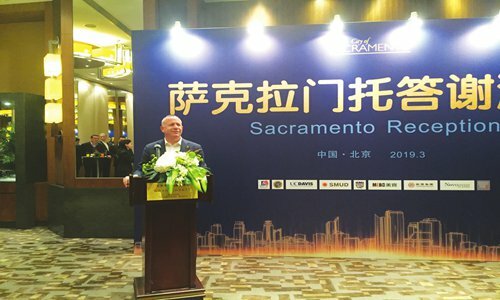 For the purpose of promoting mutual understanding of the investment environment and related investable projects between Chinese and US enterprises, California state, the US, held Sacramento's promotional event conference "Smart Investment & Rewarding Choice," which took place in Beijing on March 29. Darrell Steingberg, mayor of California's state capital, and other representatives from Chinese and American enterprises participated in the event. During the event, Steinberg said that he believes in the future of Chinese and US trade and wants to be one force to promote the development of Chinese and US relations. He also expressed his expectation for drawing more Chinese enterprises to come to Sacramento and be part of the competitive fields in education, life science, health food, and advanced technology in the region. 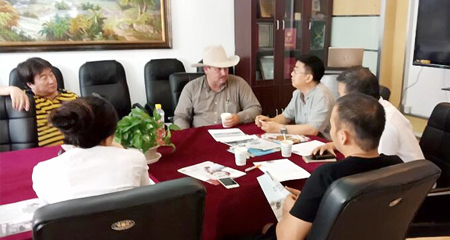 China and the US conducted in-depth exchanges on Sacramento's advantageous resources during the conference, such as power, transportation and education. Representatives from China and the US exchanged ideas on the local investment environment, key projects and current developmental opportunities.